We all know we can unlock the equity in our homes, but did you know you can do this with your car? Unlocking the equity in your car is called a Sale and Leaseback. A Sale and Leaseback is a type of Novated Lease where you take an asset that is depreciating (your car) and put the value to better use, like a summer holiday with your family. You're probably asking yourself, could this be possible? Yes, it can! You can even do a Sale and Leaseback on a car that you don't own. This means your spouse's car, your kid's cars, your parent's car, etc. But... please ask their permission first! Provided your car is less than 15 years old, you simply nominate the amount that you believe your vehicle to be worth and we conduct a quick market valuation to ensure this fits the financier's parameters. If it all checks out then the next step is a tax-free payment direct to your bank account. How easy is that? And you still own the car. This would also allow you to pay for all of your running costs pre-tax. For many used cars that may have a large service or tyre change due (not to mention registration and insurance), this can mean saving thousands in the first few months. How does my payment come out pre-tax? Well, the term 'Novated' means introducing a new party (your employer) into your purchase agreement. Meaning your employer uses your pre-tax salary and deducts your lease payment before it is deposited into your account. What's the difference between a novated lease and a regular car loan? A regular loan is paid using your post-tax salary, meaning you pay for your loan repayments, petrol and maintenance with what is in your bank account after you've been paid. Whereas a Novated Lease is paid before tax comes out so you also get the Tax & GST savings on the budgeted running costs as well as the finance. You can lease a car anywhere from 1 to 5 years. All the running costs are included too! We'll set a personalised budget to suit your needs. It's just like putting money away in a savings accounts to pay for your bills, except we've taken care of it all for you, and the money is always yours! What can be included under a novated lease? Oh - and it's all GST free! For too long the major operators in this sector have been able to get away with complex quotes that are difficult to understand, and contracts that do not offer full disclosure of vehicle prices or interest rates. Keeping the real profits for themselves, not your employees! People have become suspicious of these practices - and rightly so! We've chosen to operate independently of industry practice and behave as though the industry is regulated - because this product should be totally transparent to consumers. Our quotes will fully disclose the purchase price of the vehicle leased, the total financed amount, and the interest rate. Read more about a stratton Transparent Novated Lease. Let's say you own a Mazda3 worth $25k, your car loan has a three year term, and you drive 15,000km per year. Your average running costs would be $10,000 per year. Now take your Mazda3 and unlock the equity with a stratton Novated Lease Sale and Leaseback, so now you have $25k tax-free in your pocket. 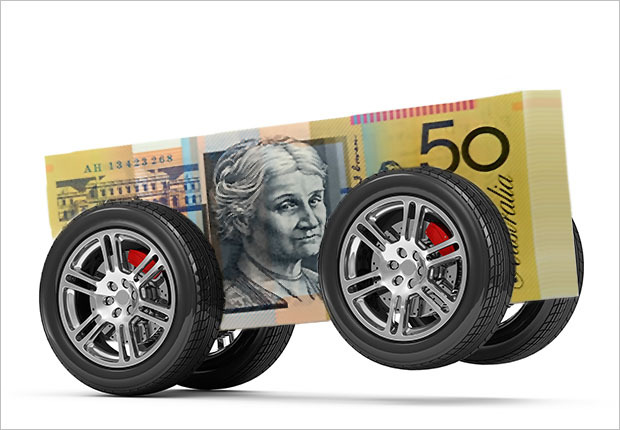 Your lease term and average kilometres are the same but your average running costs have fallen to $6,500 per year due to the GST and income tax savings. *Based on this example, which is for illustrative purposes only. Actual savings will vary according to your individual circumstances. You may have to pay termination penalties should you terminate your car loan early and that should be taken into account when calculating any benefits. With a stratton Novated Lease, you'll also get 4c off per litre of petrol AND up to 20% off your car service and maintenance (no grocery receipts required). Mind-blowing, right? Interested? Check out our novated leasing calculator, fill in your details and one of our consultants will get back to you to discuss your options.